The cutest pictures of your favorite dog breeds! The German Shepherd has earned a reputation as a loyal family companion, guide dog, police dog, and herder. This versatile dog is devoted, courageous, and exceptionally intelligent. Though they are not known for making quick and easy friendships, these faithful dogs will stand by those they love for a lifetime. 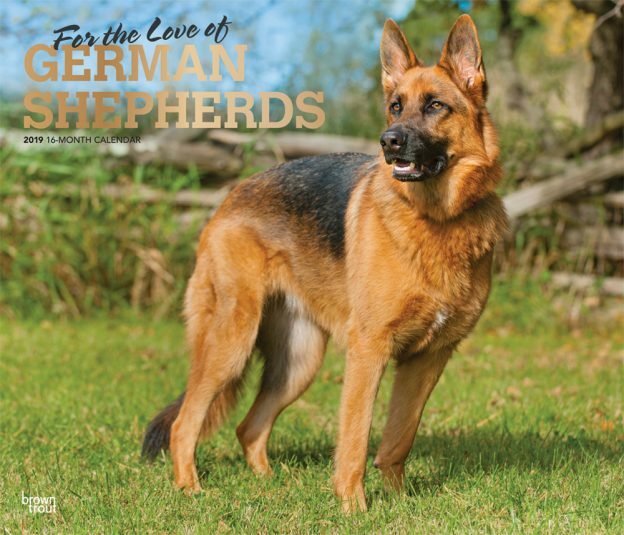 This deluxe edition calendar honors the noble and courageous German Shepherd. This calendar includes a free download of the DogDays™ app for the smartphone and tablet, which grants access to the world’s most captivating dog photos and backgrounds, fun puzzles, and a calendar featuring your favorite furry friends. You can download iOS version of the app here, and Android version by clicking here. This entry was posted in Calendar Showcase, Dog Breed on January 29, 2019 by dogdaysapp.